Chris Brown is on his way to jail right now, because he violated a judge's order by getting booted from the rehab facility where he's been living for nearly 4 months ... TMZ has learned. The judge in the Rihanna beating case ordered Chris to live in the Malibu rehab facility for 90 days to get anger management therapy, and he completed the stint earlier this month. BUT ... at the last court hearing, the judge modified things and ordered Chris to stay in the facility while the Washington D.C. assault case ran its course. The deal was this ... if Chris left rehab, he would go directly to jail. Sources familiar with the situation tell TMZ ... Brown was thrown out of the rehab facility this morning, for violating "internal rules." 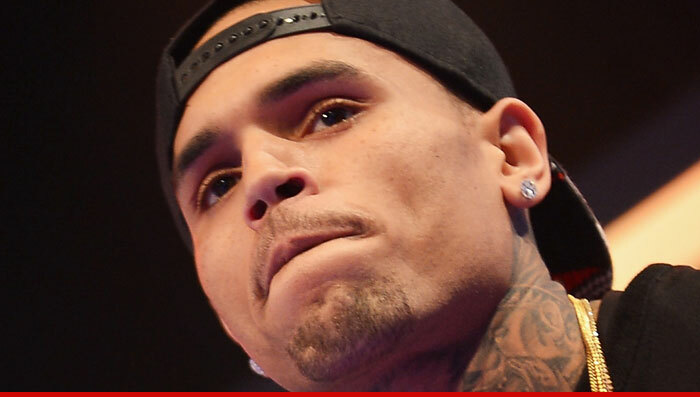 We do not know precisely what Chris did, but we're told it did not involve violence or drugs. Sources tell TMZ ... Chris was caught having "an inappropriate relationship" with a female worker at the beginning of the month, but that is NOT why he was thrown out today. As you recall, Chris was previously thrown out of a different facility for throwing a rock at his mom's car window. Chris was picked up by L.A. County Sheriff's deputies this afternoon and is now in jail ...being held with no bail.